At home, my son Abhi is fond of Idli for Breakfast, but I have to make sure there is always Chutney to go with Idli! 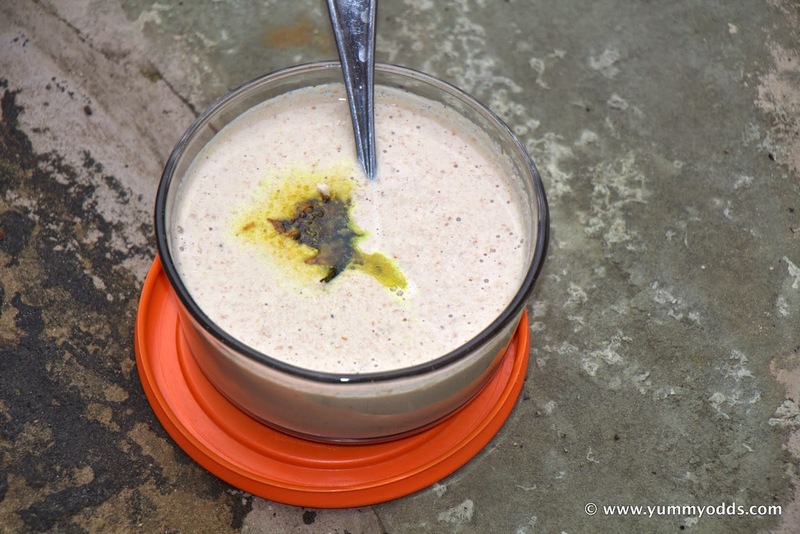 I always prepare Peanut or Coconut Chutney to go with Idli, which is very easy and takes only few minutes to make. But the challenge sometimes for me is not having Green Chilies at hand which is primary ingredient for this Chutney. 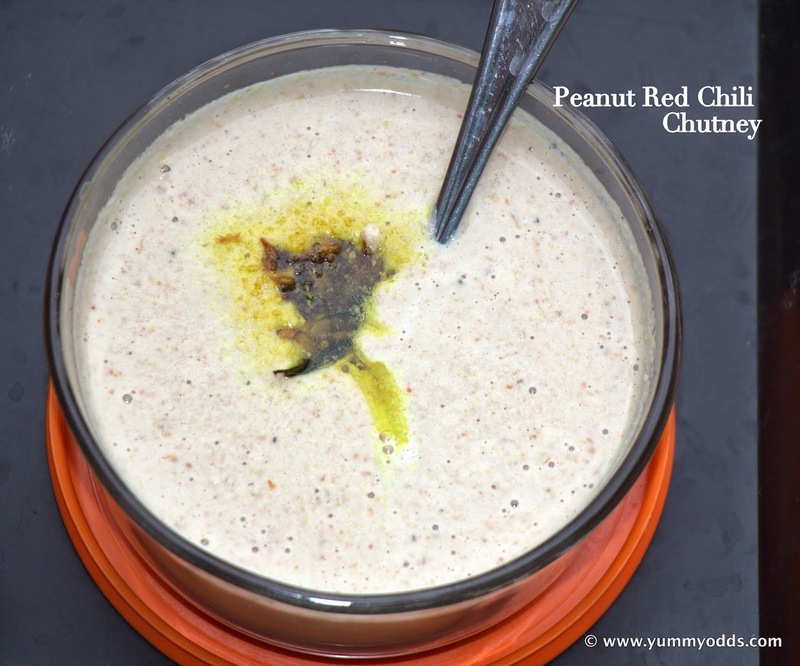 Then I twist the same recipe with Red Chilies, That's all! That's why I call this as rescue recipe, as I use this recipe only when I don't have green chilies. :-) Here is the recipe for you! Njoy! Dry Roast Peanuts in a non-stick pan for 2 min. Add cumin seeds, red chili, garlic clove, tamarind and roast for another 1 minute. Switch off the stove and take the pan away from heat and let it cool. Once it is cool, grind roasted ingredients in small mixie jar or in blender until it becomes smooth paste. Add water in between and salt while grinding. Transfer the chutney to serving bowl. Heat 1 Tbsp of Oil in non-stick pan, once the oil is hot, add urad dal & mustard seeds. As they start spluttering add Turmeric powder and Curry Leaves and switch off the stove. Now Tempering is ready, add this to Chutney bowl and mix it well and serve with Warm Idli or Dosa for wholesome savory breakfast.